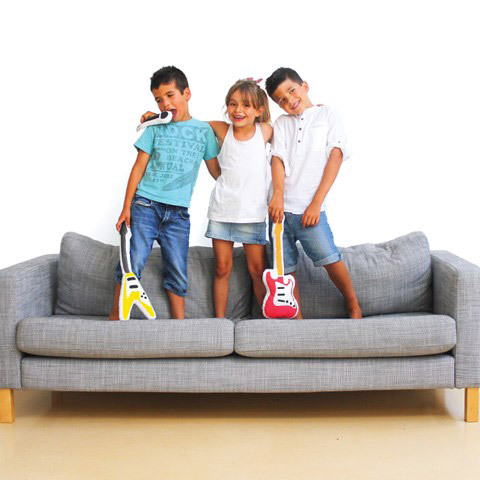 Forget about using hairbrushes and tennis racquets, your kids can now be rocks gods with the Manta Pillow Band instead. 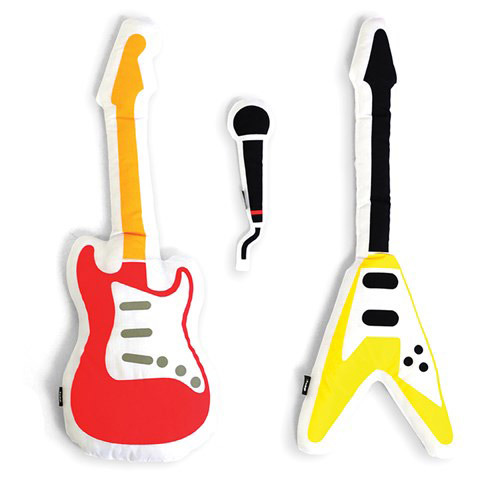 Yes, these are pillow instruments, great for snuggling up with, great for looking good, but best of all, just the thing for reliving rock’s greatest moments. Or creating some new ones. There are three instruments in that set (including the wonderful ‘Flying V’), with the price at £27.